Desk .. Done .. Thank Goodness! Final Desk Pictures this Weekend .. Promise! My last piece of curly cherry .. The desk parts are piling up .. The top .. after the first coat. Routing grooves for splines and makin’ a top! 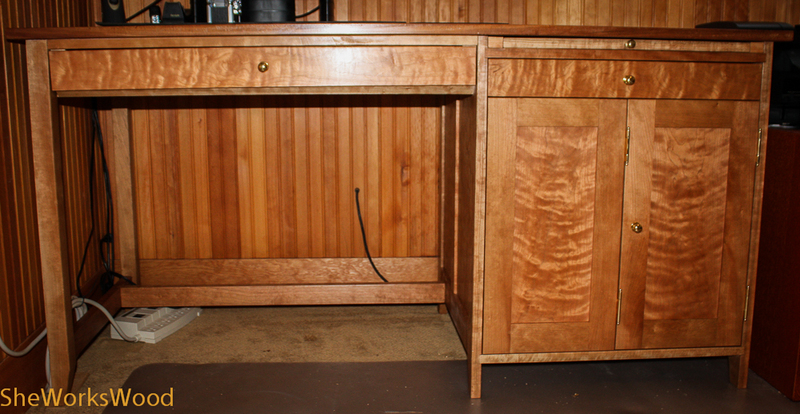 More progress on the desk. Its beginning to look a lot like Christmas .. I mean a desk.